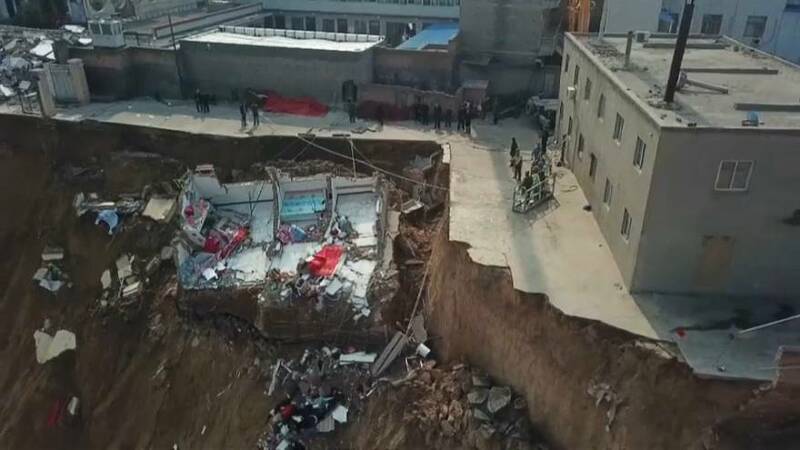 The death toll from a building collapse in Xiangning County in northern China's Shanxi Province that occurred due to a landslide climbed to 15 on Tuesday. Five people are still unaccounted and 13 others have been rescued so far. Ten of the 15 victims' bodies have been identified by their family members and relatives. The accident occurred on Friday when a landslide toppled two residential buildings, a makeshift house and a public bathhouse. The rescue operation is still underway as of Tuesday (March 19) noon.